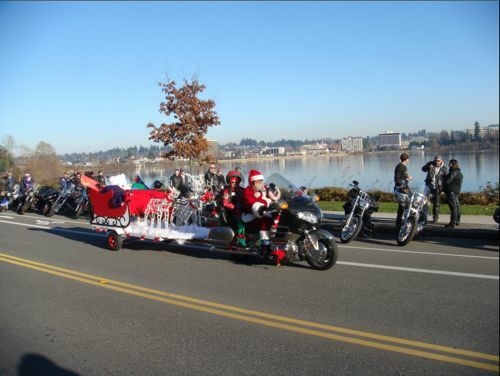 USE: Santa uses our 12-volt vehicle lights to light up his motorcycle, sleigh, and reindeer each year. 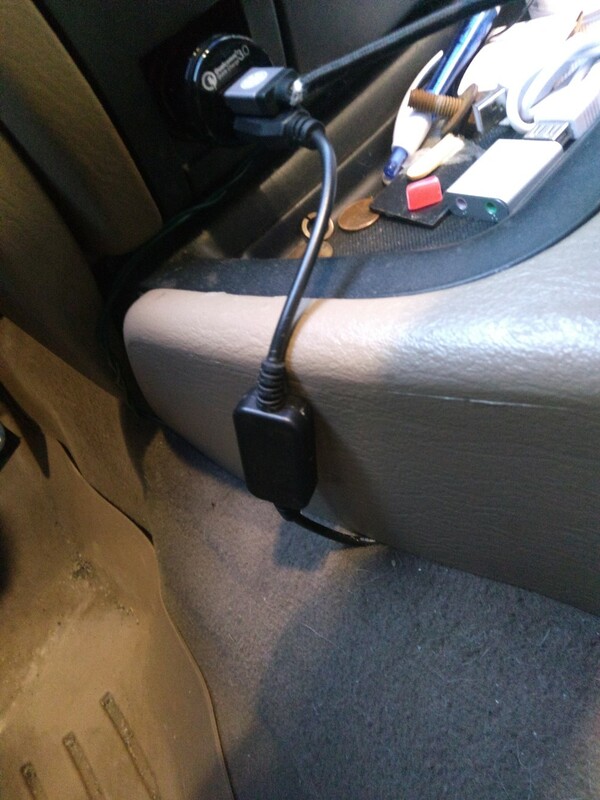 HOW: You can do it, too! If you want to light up your motorcycle with Christmas lights, watch the short video here about using 12-volt lights for the first time. 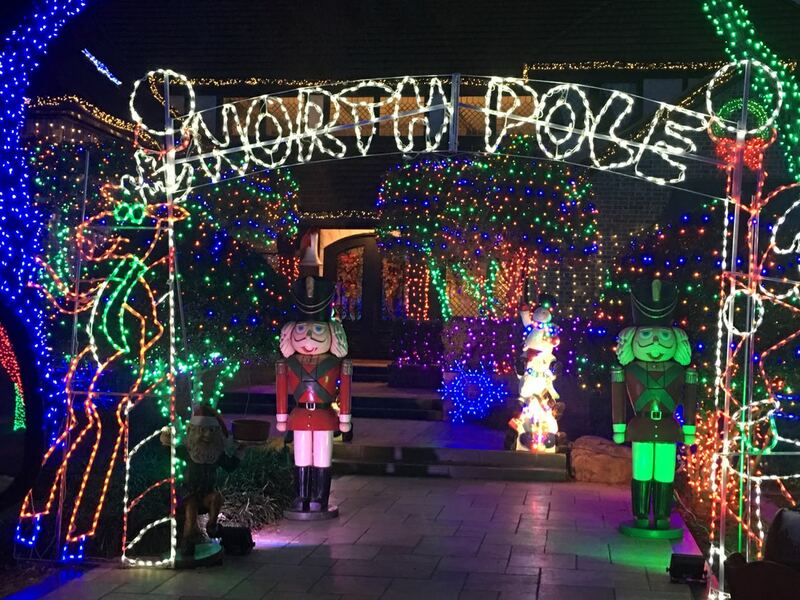 The absolute best thing about having a Christmas lights business is frequently meeting people who have a genuine Christmas-spirit and take their Holidays and gift giving seriously. Pat from Olympia, Washington, is one such person. 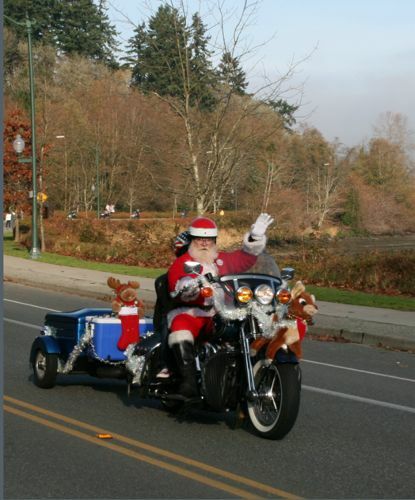 Every year he takes part in The Olympia Toy Run. Pat & I officially met because this will be the second year he’s using our 12 volt lights to light his motorcycle and sleigh for the Run. He called with a customer service issue, and I noticed that he had placed a couple of fairly large orders. I had to ask what they were for. (I love to hear and see how our lights are used “in the field.”) I received a few photos back that were so cool, I kept asking questions. Do you keep your beard all year? I have had the beard now for 43 years. It didn’t turn gray until after raising two Teenage Boys, of which I should be thankful for because it sure goes well with the red suit. I do cut it back in the summertime but then long about September I let it grow out for the holidays. By the way, is that a Gold Wing?Yes, it is a Gold Wing, but I like to call it my Retirement RV. My wife and I have enjoyed many many many wonderful miles on it. 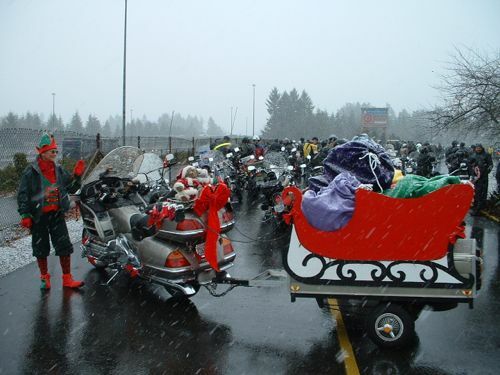 How long have you been doing this?I first rode in the Olympia Toy Run in 2002, and have been riding in it ever since. 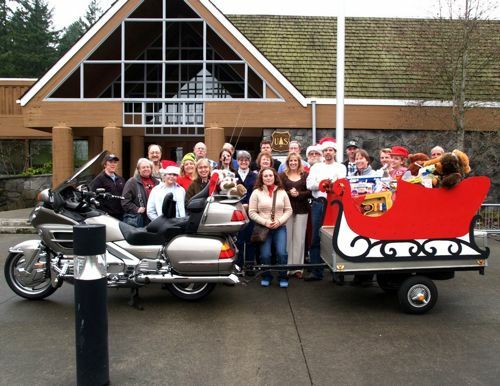 The first year I just carried one toy because that is all that was needed to enter.Then the folks in my office found out, and they all wanted to participate, so the next year I had a large Santa bag full of toys, and as it grew I got so many toys that I ended up making a sleigh. Then each year I added more and more, like the reindeer, a larger sleigh, and elf, and the lights, etc. 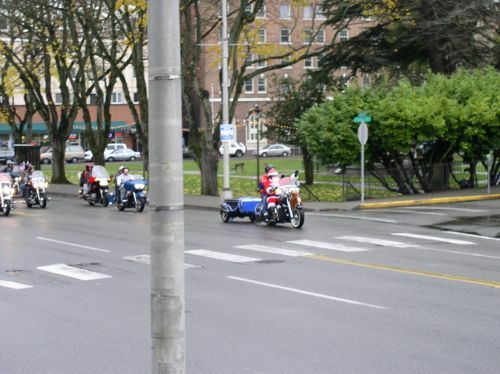 How many motorcyclists usually show up?The first run had only 27 motorcycles, and over the years has grown immensely. 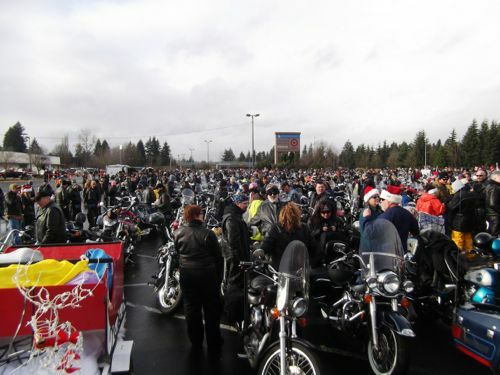 Over the last few years, depending on weather conditions, there are now between 8 and 18 thousand participating. 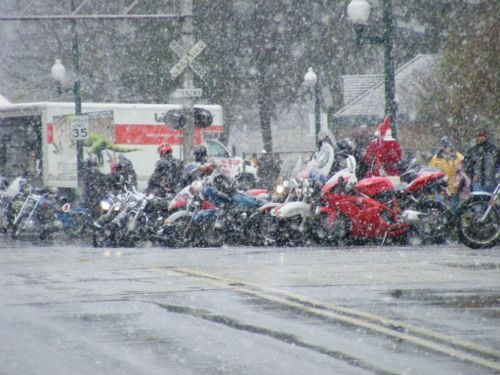 We ride rain or snow. Has the event only been going on since 2002?The event has been in existence since 1977, and the same Santa has been leading it for all 36 years. His name is Santa Joe. And, of course, with such a large turnout there are always at least six or more Santas sprinkled throughout. 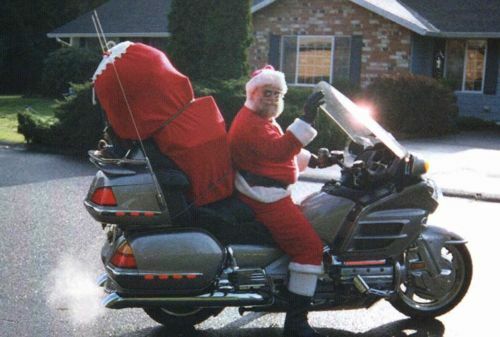 Also Santa Joe auctions off his spare seat to the highest bidder to get a big donation for the cause, and each year he has a different co-rider. You can find out more about the Olympia Toy Run at www.olytoyrun.com. 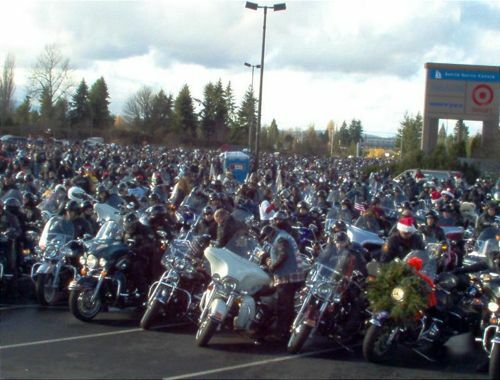 The 2014 event will be Saturday, December 6th at the South Sound Center. 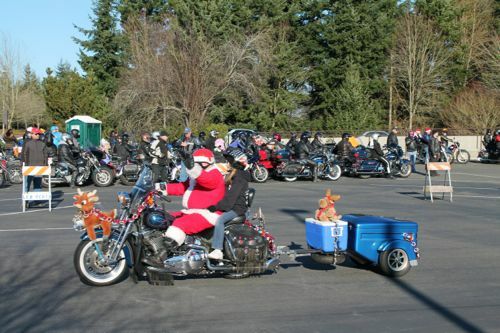 If you don’t live near Washington State, consider starting your own Toy Run. Let me know if you do. And, send photos!!! 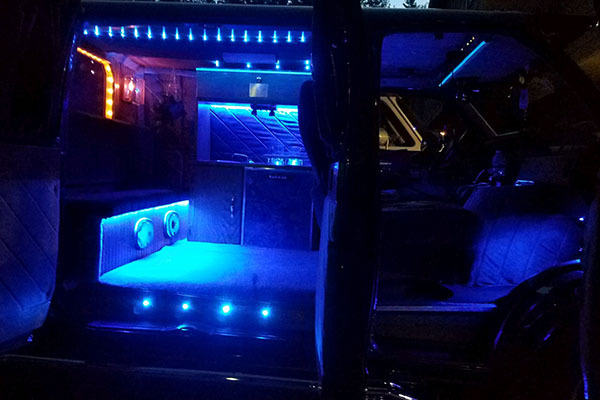 We’ll be happy to promote your event.